This post is by community member Ewan MacLeod, published by Sketchfab. As a learning innovator specialist in the Hīnātore Learning Lab at the Museum of New Zealand Te Papa Tongarewa, my role involves developing and facilitating learning that connects to Te Papa’s collections and taonga (treasures). Our learning programmes and experiences are designed to maximise opportunities for creativity, collaboration, communication and critical thinking. We choose a mix of high and low technologies as we run concurrent, hands-on and interconnected activities that empower learners to choose their own approach. We use 3D design in a number of ways during our sessions. We create models using free design software like SketchUp and Tinkercad. 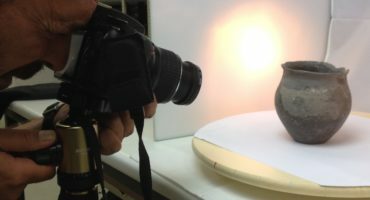 We also create by using 3D scanners to capture objects from Te Papa’s collections and to 3D scan workshop participants! Sketchfab allows us to collate, publish and share our 3D models. Some recent examples of our models include an annotated Kiwi and various Vaka, (Pacific Ocean sailing vessels), designed by students who then publish, import and experience them into Cardboard and HTC Vive Virtual Reality. Students have also created their own 3D models that respond to Te Papa’s Gallipoli exhibition: The Scale of Our War. These models give participants a unique way to express a range of feelings and reactions as they empathise with the stories of people who have experienced war. 3D has become an ubiquitous language, medium or mode of expression of our time. We believe that participants learning to create and share their own 3D models become articulate not only in consuming 3D but also in creating their own 3D products and experiences. 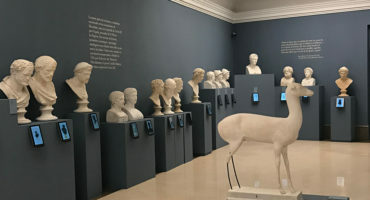 3D can also be valuable in providing distant or remote access to objects and artefacts for people. 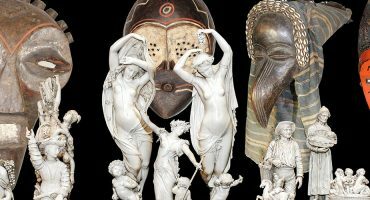 As faster internet becomes available in remote places and as institutions increasingly up the ante of resolution and accuracy, 3D models can extend this access to institutions’ treasures. Searching for models of extinct animals is awesome! Being able to view and download something inaccessible like a moa skeleton (An extinct animal native to New Zealand) is a huge learning asset. We also enjoy browsing for sea creatures on Sketchfab! For example, it is a delight to watch a student import a 3D scan of a turtle into their virtual world with vaka, ocean, stars and sky. Thanks for sharing your work Ewan! Be sure to check out Te Papa Learning Lab’s Sketchfab profile to see more creations and scans.